Recently I found a new product in the market which solves my "monthly" pain problem. I've never had menstrual cramp pains, but this few years I've these awful cramps every time my period delays. As I grew older, the ever changing lifestyles that includes sleeping late and stress made my period delay, thus resulting these horrible cramps. 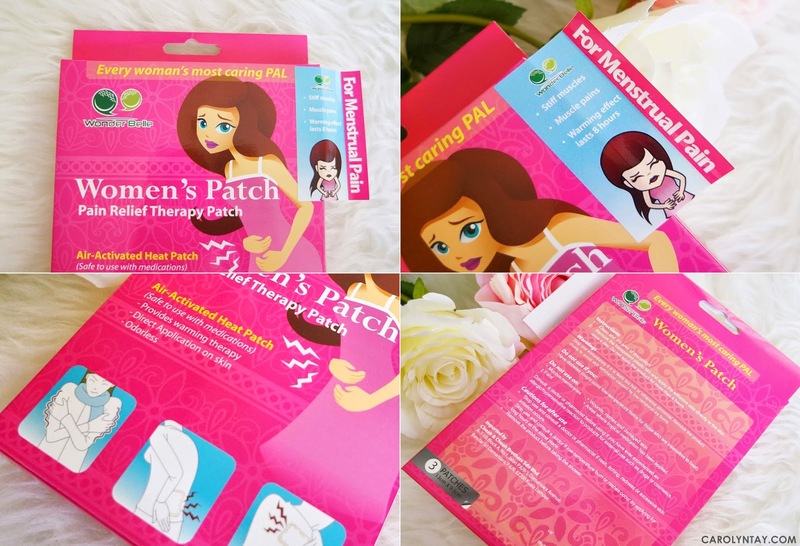 Thank god I found these patches that I can depend on instead of menstrual pain medications. There is 3 piece of patch in one box. 2. Remove the plastic film and apply the adhesive side directly to the skin. Do not apply more than 4 hours. I really feel relieved after using this patch and I'm thankful it doesn't have weird odor so I can use it daily. This product lowers my level of pain so that I can get to sleep at night or undergo my daily activities in comfort during the day. They are easy to apply and provide long lasting relief. I went more than the recommended 4 hours without changing the pad but I suggest you not to exceed the recommended time to minimize irritation or sensitive skin.